The Center for Democracy and Economic Development (CDED) has been comparatively analyzing the development models of Korea and other developing countries in Asia with the trajectories of developed countries. The center aims to provide theoretical and practical research for sustainable development by recognizing the diversity within Asia and implement related educational and international exchange activities. In 2017, CDED conducted research and related academic activities on governance of Korea and other Asian countries by focusing on social economy and civil politics. The center accumulated empirical and theoretical research and shared the generated knowledge by participating in fieldwork, seminars, workshops, and conferences to advance and extend the research results. This year’s domestic research focused on Gwanak district’s civil politics and Siheung city’s social economy. Moreover, the center organized invited international scholars workshop through collaborative research projects to discuss the joint agenda on social economy in Asia. in May. The book Civil Politics in Gwanak District that captures the above processes will be published in March, 2018. Similarly, research on Siheung city focused on five areas: Environment, public welfare, industry, culture, and city. The research was commissioned to establish a social economy model and promote policy proposals. The center participated at the International Association of Political Science Students (Bremen, Germany) based on the research findings. The center organized invited international scholars workshop through collaborative research projects to theoretically and empirically scrutinize the diversity of social economy in Asia providing a basis for future research. Specifically, the workshop enabled the sharing of research on Korea’s social economy and civil politics and provided an opportunity for grasping the cases of social economy in various Asian countries. 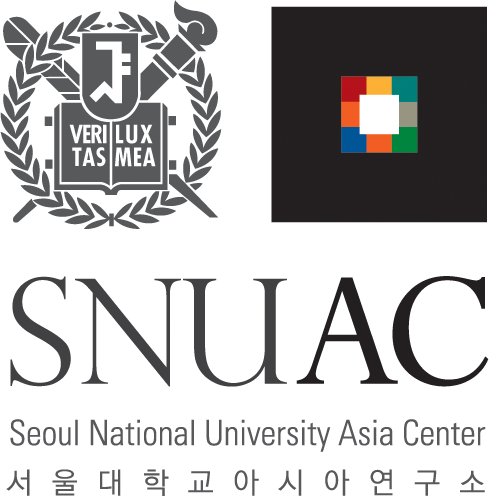 Also, the CDED co-organized the 8th International Labour Organization (ILO) Academy on Social and Solidarity Economy, co-hosted by ILO and Seoul city, with ILO’s International Training Center, Global Social Economy Forum, and SNUAC. The CDED will investigate the democratic transformations in Korea and other Asian countries based on the accumulated research achievements. The center plans to explore theoretical and empirical discussions such as elective affinity between democracy and economic development by discovering diverse cases of the related systems, policies, organizations, and activities. Lastly, the center plans to invite leading experts and organize diverse activities for presenting the research achievements. Kim, E. Y., Yi, S. H., Lee, E. J., Lee, J. I., Lee, J. H., Cha, Y. H., Choe, H. J. (2017). Participatory budgeting at the district level: The case of Gwanak district of Seoul. OUGHTOPIA, 32(1). Lee, T. D., Kim, E. Y., Seo, J. K., Yoo, I. T., Sohn, H. D., An, J. B. (2017). Experiments of communitybased learning on trust. Korean Political Science Review, 51(2). Lee, W. D., & Choi M. S. (2017). A Research on collaborative governance for community-based urban regeneration: Focused on the Greater University Circle Initiative(GUCI). The Korea Spatial Planning Review, 93. Kim, D. H., Lee, N. K., Kim, J. H., Lim, K. H., Lee, W. D., & Kim, E. Y. (2017). Exploring the dynamics of alternative countervailing power in collaborative governance: A case study of ‘Gwanak Community Organization’ in Seoul. Korean Political Science Review, 51(5).